After we refinished our floors we wanted to update our entryway rugs. 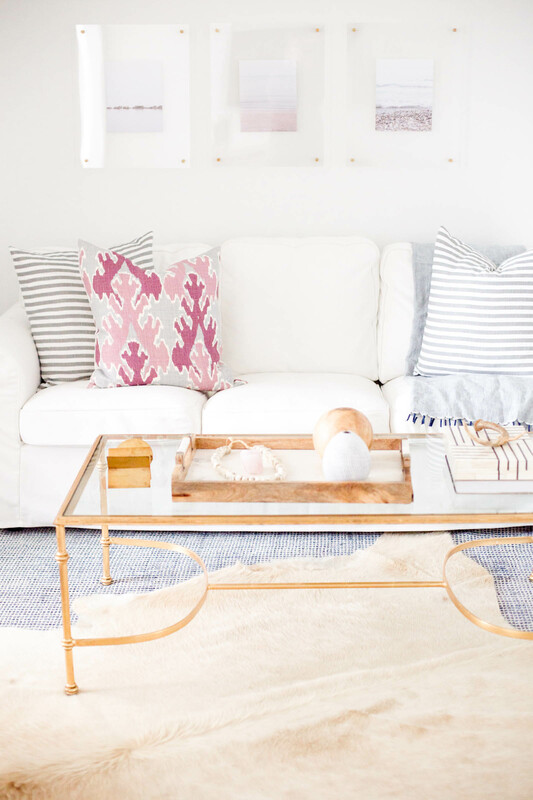 I’m a huge fan of Annie Selke rugs. We have an Annie Selke rug off our master sitting room and our living room. The wool and vicose blends are super durable and can hold up in high trafficked areas. Which includes our kiddos running in circles around coffee tables, on repeat! Earlier this year when we had the pipe burst in our attic we had repair men in and our of our home for months walking over the rugs. I was concerned about wear but they are so durable and they help up great! They’ve shown no signs of wear even after a year. I receive Annie Selkes’ catalog and was so excited to see that many of my favorite style rugs from them were now available in an 8-foot round option. Our entryway is alittle tricky. 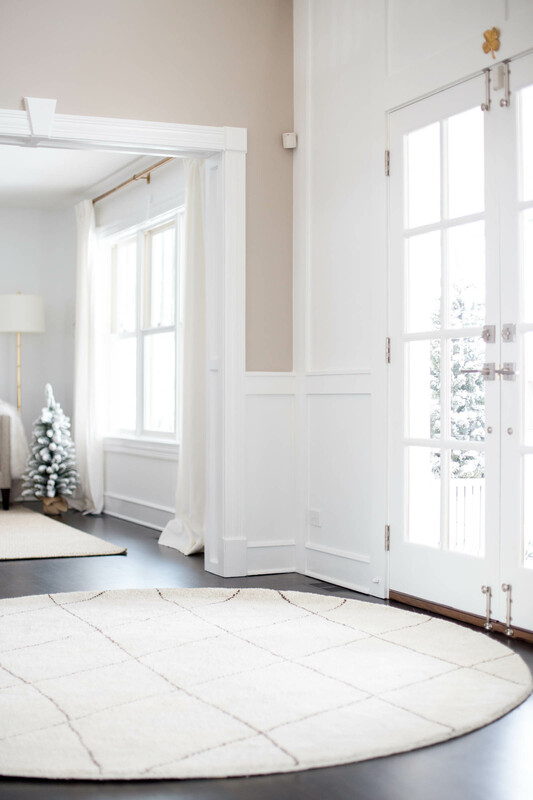 When you first walk in the front door a round rug is ideal with a 6×9 rectangle sized rug in the hallway outside our hallway closet. 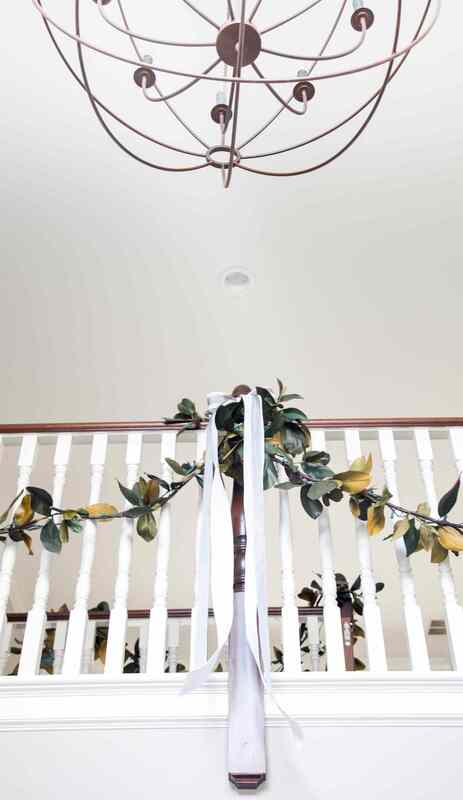 We have a large orb hanging in our entryway, right above the front door so having a round rug below creates the perfect juxtaposition. 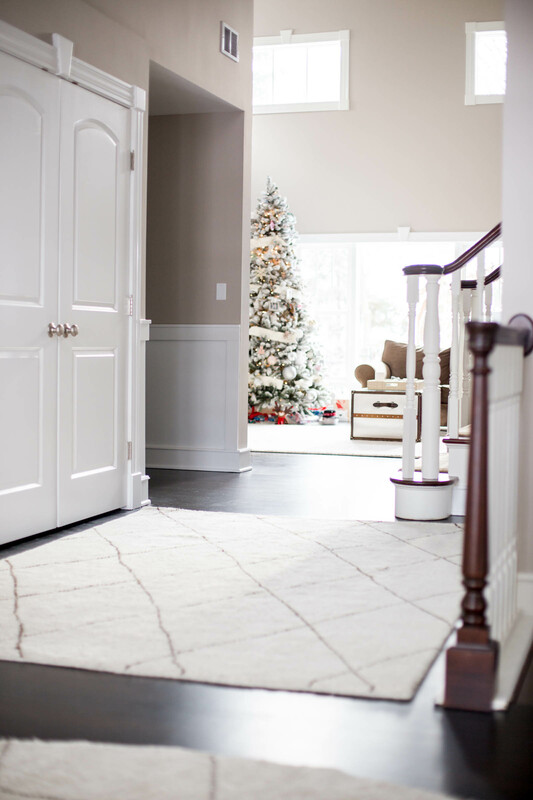 When you walk in the front door we went with the Annie Selke Numa Charcoal Hand Knotted Rug Round in 8 foot round. 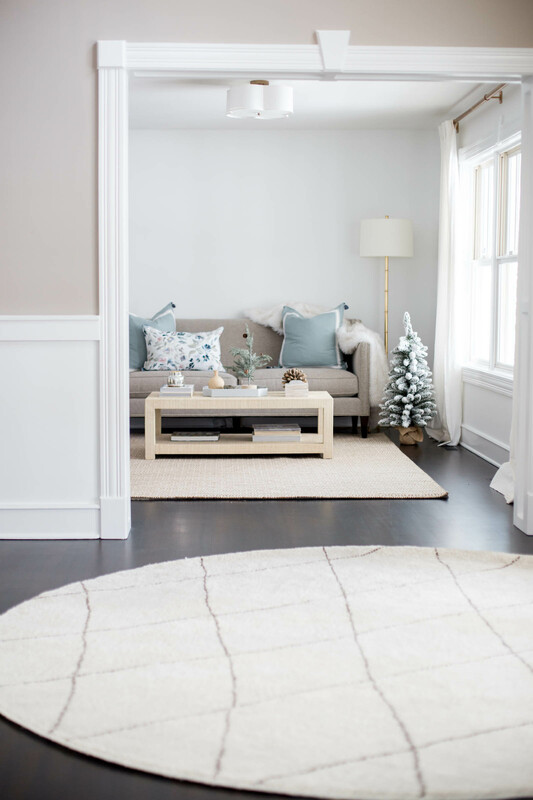 For the area of our entryway that leads into our family room (outside the entryway closet door) we went with the matching Annie Selke Numa Charcoal rug in 6×9 size. They shed a bit at first but are fine after a light vacuum. True story the day we received the rugs my little ones were playing with stamps in the playroom. Somehow my son dropped the black stamp pad on the playroom floor. He then walked on the stamp pad and inked the entire bottom of his foot and walked back and forth over the new rugs several times leaving perfectly round black heel marks. We had the rugs for less than an hour and I was worried. With a spot clean the stains completely came out (I took this picture today). I wouldn’t recommend letting your 5-year-old do that too, but they are very durable. 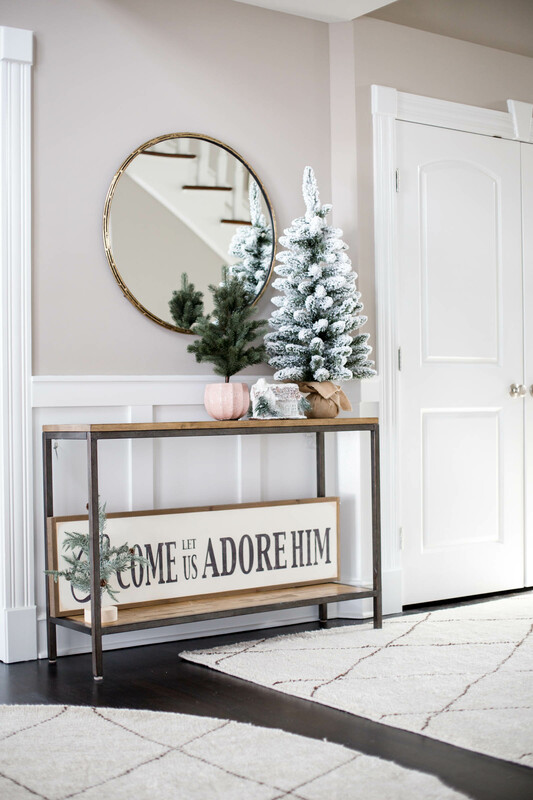 They are way more lush than our previous entryway rugs. Super soft and comfortable under foot. 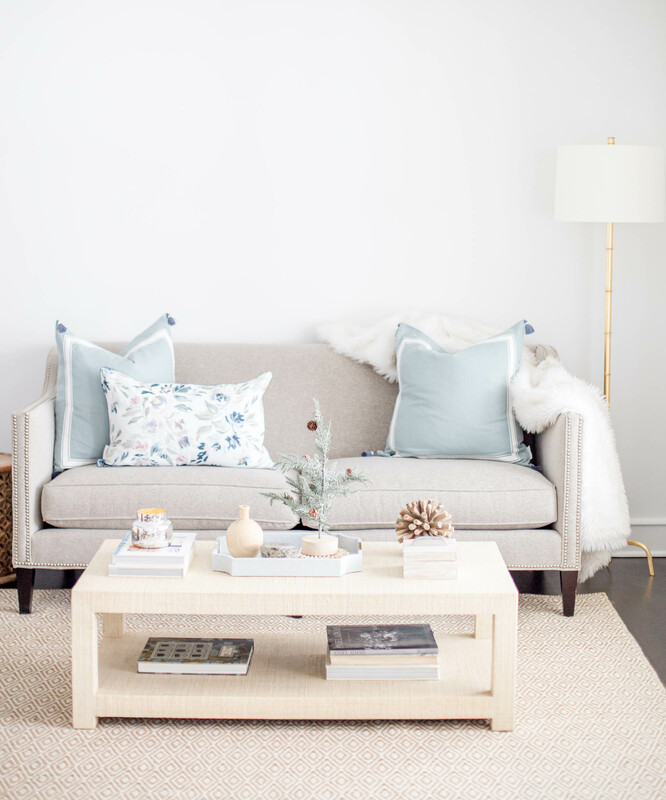 A trick to get your new rugs to lay flat after rolling them out is to put heavy coffee table books on the corners. I’d leave the books on for a few days. That Christmas tree is beautiful.